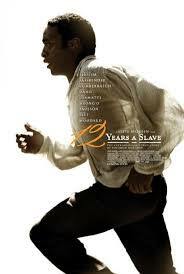 12 Years a Slave is a 2013 British-American epic historical drama film and an adaptation of the 1853 autobiography by Solomon Northup, a New York State-born as a ‘free man’ who was kidnapped in Washington, D.C in 1841 and sold into slavery. He worked on plantations in the state of Louisiana for twelve years before his release. Now, I’m not going to bombard you with so much information to do with this movie. But I will say this, I have not yet seen the movie but it’s definitely going on my ‘must-see’ list of movies this year. Some has already described it as ‘a truly moving’ experience’ simply by watching this film, capturing the much sickening and despicable essence of slavery back in 19th century. One man who deserves quite a lot of credit for embarking on such this adaptation on the black culture is Steve McQueen, the director of ’12 years a slave’ or what some would like to call him ‘the man with the vision’. It’s authenticity from the actors such as: ‘Chiwetel Ejiofor’,an impressive performer on screen – certainly since his breakthrough role as a refugee doctor opposite Audrey Tautou in 2002’s Dirty Pretty Things. Along with some A-list actors like: Brad Pitt, Paul Dano, Michelle K. Williams and Micheal Fassbender. It conveys the story so well you generally feel like you’re apart of it. For me, being a black individual, it’s just such a eye-opener to see what my ancestors went through. Imagine living in an unfair segregated and hatred society, where you’re judged, hated and punished simply because of your colour of your skin? It makes me feel more appreciative and proud of my culture, despite our stereo-typical characteristics nowadays. it makes me think we came so far, just my great role models who did what we couldn’t or had the mindset that we were not able to process in their lifetime. Martin Luther King, Mary Seacole and the most recently deceased Nelson Mandela.